Based on ethnographic fieldwork, this case study examines the impact of economic development on ethnic minority people living along the upper-middle reaches of the Nu (Salween) River in Yunnan. In this highly mountainous, sparsely populated area live the Lisu, Nu, and Dulong (Drung) people, who until recently lived as subsistence farmers, relying on shifting cultivation, hunting, the collection of medicinal plants from surrounding forests, and small-scale logging to sustain their household economies. 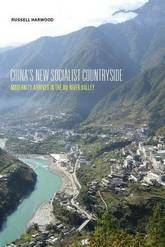 China's New Socialist Countryside explores how compulsory education, conservation programs, migration for work, and the expansion of social and economic infrastructure are not only transforming livelihoods, but also intensifying the Chinese Party-state's capacity to integrate ethnic minorities into its political fabric and the national industrial economy.